The U.S. Army offers a wide variety of Military Occupational Specialties to start you on a rewarding career path. Learn about 15 in demand careers that offer hands-on training, a framework for lifelong success and invaluable leadership skills. Excellent compensation packages provide housing, medical, food, special pay and vacation time with opportunities to earn cash bonuses and education benefits. Hover over the images to view a brief description. Combat engineers supervise, serve or assist as a member of a team when they are tackling rough terrain in combat situations. They provide their expertise in areas such as mobility, countermobility, survivability and general engineering. Parachute riggers are responsible for repairing textile and canvas items, webbed equipment and clothing. An air and missile defense crewmember is responsible for operating the avenger system, a lightweight, highly mobile weapon system that provides air defense protection against air and land attacks. A PATRIOT launching station enhanced operator works directly with the PATRIOT launching stations. 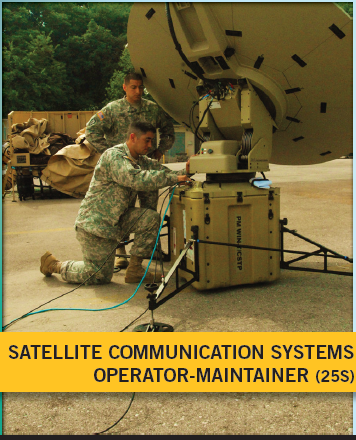 A PATRIOT fire control enhanced operator is responsible for operating/ maintaining the entire PATRIOT missile system. The UH-60 helicopter repairer is responsible for the maintenance of the UH-60 Helicopters (also known as the “Black Hawk”). With hundreds of Army missions depending on these helicopters, they must ensure that all of them are safe and ready to fly. Responsible for the maintenance of AH-64 helicopters, twin engine attack aircraft. With hundreds of Army missions depending on these helicopters, they must ensure that all of them are safe and ready to fly. Motor transport operators are responsible for supervising or operating wheel vehicles to transport personnel and cargo. They are the backbone of the Army’s support and sustainment structure, providing advanced mobility on and off the battlefield. A field artillery automated tactical data systems specialist is responsible for operating the data systems for the Cannon and Multiple Launch Rocket Systems.